Sumavision IP video platform to meet the needs of operators to develop all-IP video services, including traditional video services and rich value-added services, set off business. 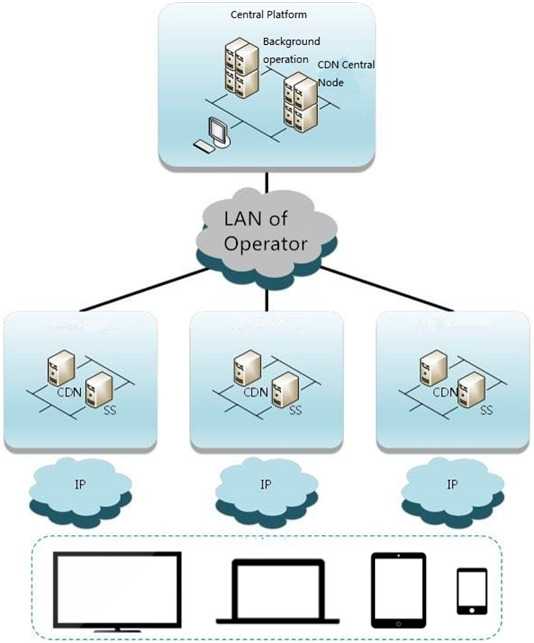 The converged CDN system in the platform can help operators realize the content distribution of the all-IP network, reduce the bandwidth pressure of the backbone network and reduce the input cost of the backbone network construction. Sumavision IP Video Platform has been successfully commercialized in many provincial-level network companies and provided 100,000 concurrent streaming media services, including Guangdong, China, Inner Mongolia, Gansu, Shanxi, Hunan, Hubei, Shandong and so on.